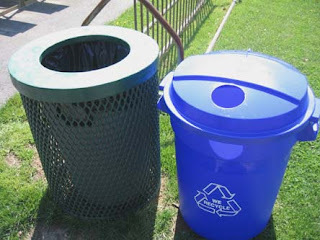 New recycling containers are showing up in township parks. Paired with trash cans, and with small holes on the top, they stand a good chance of working. Borough parks, as far as I've been able to tell, are completely lacking in functional containers for recycling.